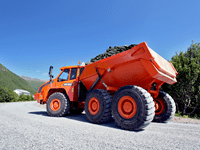 Designed to work under very tough conditions and achieve low fuel consumption. 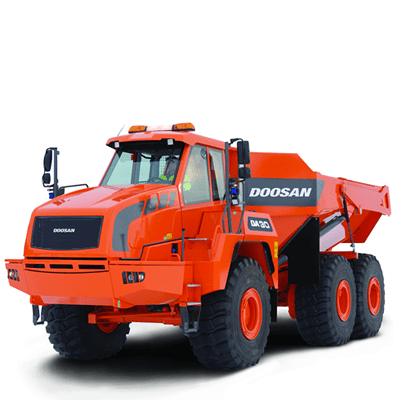 The Doosan ADT concept offers a larger load capacity in all weight categories. Additional load capacity, combined with superior power and traction, allow for improved productivity. 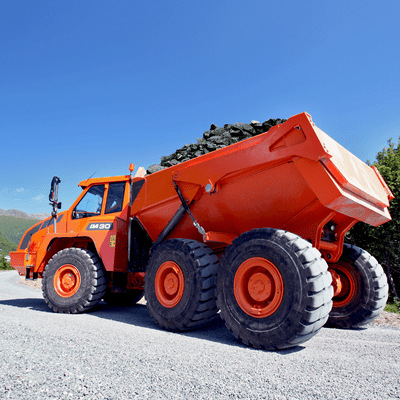 The unique advantages of the Doosan ADTs permanent six-wheel drive, the free-swinging rear tandem, the front mounted turning ring, the independent front wheel suspension and the sloping rear frame provide excellent driving stability with equal weight distribution and superior traction. 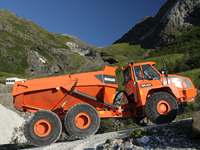 The Doosan Articulated Dump Truck is designed to work under very tough conditions and travel over 55 km/h. Thanks to the unique design of the forward-mounted turning ring, sloping rear frame and free swinging tandem bogie, weight is distributed equally throughout the truck, providing excellent stability. The rear tandem ensures the tyres are in continuous contact with the ground for more stability and thus the best safety in the market. The unique Doosan ADT design offers permanent six-wheel drive which ensures stability and equal weight distribution to accommodate all job applications. The Doosan ADTs superior driveline ensures maximum traction and durability.